Sometimes I will get the desire to play through a video game series all in once go, a few years ago I did it with the God of War series, this year The Witcher trilogy is the one I chose. I have heard so many good things about The Witcher 3: Wild Hunt but I really wanted to play the previous two games first. I had no intention to review these games as they are fantasy rather than horror but then I decided that I might as well after having put so many hours into them. 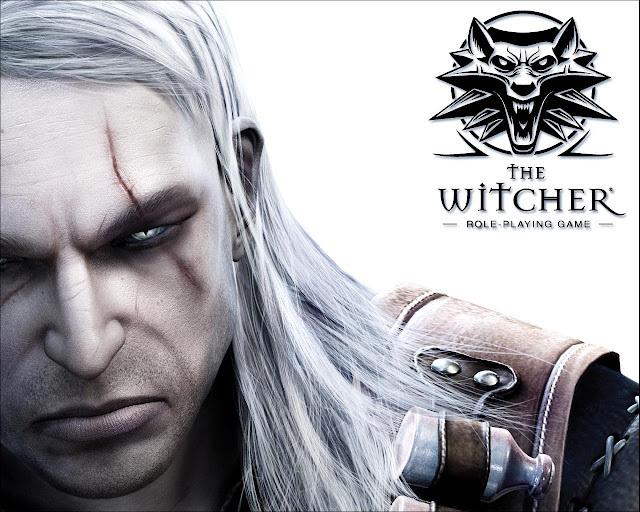 You play as Geralt; a Witcher (a mutant that kills monsters for a living) who is found severely injured and with amnesia by a group of fellow Witchers, he is taken back to their HQ but isn't there too long when the castle is assaulted by a gang of bandits calling themselves Salamandra. 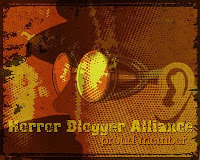 These thugs steal dangerous secrets before escaping. 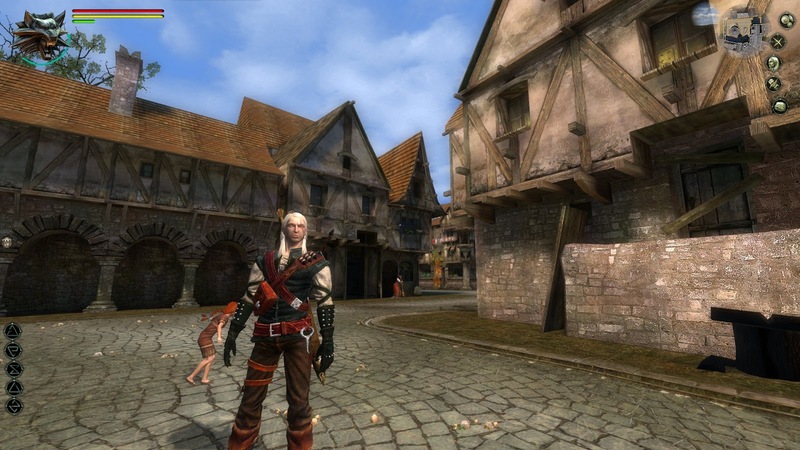 Geralt heads to the city of Vizima in search of them, here he finds the city in need of his services. I don't really get on playing PC games, using a mouse and keyboard is just too foreign for me so when there was an option to play The Witcher with mouse only I chose that. I had expected a third person game but instead due to the method I chose the whole game (aside from cutscenes) took place in an isometric overhead style that reminded me a lot of Diablo. Also as I was eager to get onto newer entries in the series I played the game on easy mode, I was just there for the story really and as such I skipped a lot of the more boring sounding side quests. With a lot of the side quests being as simple as 'collect x amount of items from certain enemy type' I did not feel I missed out a lot on that side of the game. 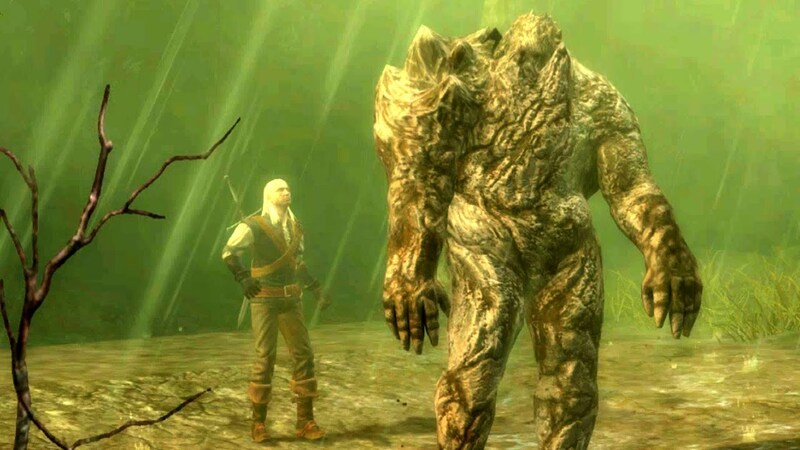 The Witcher is split into five chapters, as well as a prologue and epilogue, each chapter is self contained and usually has you travelling to a different area at the end of each one, it is obvious enough when you leave one and so it is wise to complete any side quests before doing this. For a lot of the game there wasn't really too much story, or rather what there was felt localised and not part of the bigger plot really. The main of the game is to defeat the Salamandra group but it doesn't feel very epic, it is only in the fifth chapter that the plot really gets going with many times what feels like the actual story is taking place away from Geralt. In between chapter two and three for example there is a huge battle between the Order of the Rose (a human military regiment) and the Scoia'tael (Elven terrorists) that occurs while your unconscious. Meanwhile, while huge events are happening in the city of Vizima in chapter four Geralt is on a little vacation out in the sticks solving very low key shenanigans that have no bearing on anything. For people wondering if you need to play The Witcher to fully enjoy the other two games then I would actually say it's not really needed. Sure you get to know some of your companions such as the bard Dandelion, sorceress and love interest Triss, and Dwarf Zoltan, and you do get an introduction to the Wild Hunt being but I still feel a Wikipedia read of the plot, and a YouTube view of the ending would suffice. My main problem with this game is the amount of wandering around you have to do, the levels are large in size, not giant but you do need to do a lot of long jogging to get anywhere which gets tiring. One moment in chapter three really stuck out when I had to leave Triss's house then walk to a different house the other side of the city, passing through three load screens in the process. Upon getting to this house you are then told to head all the way back to Triss's house, I did this...then the game crashed! All this walking around really got boring and was one of the factors that led me to avoiding all but the most interesting sounding side quests. Another issue is that there is a day and night cycle, some characters only appear in locations at specific times, yet they will be on your map regardless, leading to some trial and error to find them. It doesn't help that you can only advance time whilst at one the sparsely placed fire places. Combat is interesting at least, you have a silver sword that is used to fight monsters, and a steel sword used to fight humans and animals. Both these swords have three different styles; two handed style, one handed style, and a style used to fight groups, enemies weak to specific styles. Using mouse controls it is a case of selecting your style then clicking on an enemy, then waiting for the symbol that lets you stack up your chain of combat. Magic can also be found that lets you set enemies on fire, do a force push on them and other types. I didn't use the magic much but it had it's uses. The world of The Witcher is more Game of Thrones than Lord of the Rings with a lot of the story involving politics, treachery and sordid plots, but there are monsters to fight and so I can excuse reviewing a fantasy game on this blog. One mission sees you trying to discover the identity of a werewolf that only attacks criminals, another mission has you discovering a whore house is staffed exclusively by female vampires. Another pretty cool one had you fighting Dagon the God of the fish people at his ancient temple; an obvious nod to H.P Lovecraft. In the main plot you eventually end up fighting mutant humans which was pretty cool. While you fight plenty of monsters a lot of the game is spent in villages and the city and so it is more battling human Salamandra members and Order of the Rose or Scoia'tael. 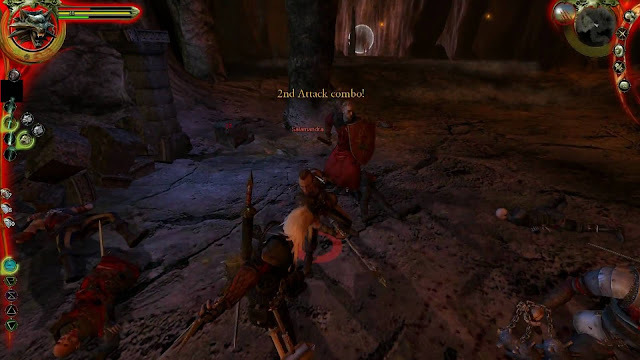 Combat I all found simple, though that would be due to playing on easy, you never get to fight too many enemies at once and I noticed that Geralt seemed to get confused when there were too many to fight and wouldn't respond to your mouse commands. For me I'm glad I started with the first game in the trilogy, it seems dated now but each subsequent entry has been a joy to see how much they have improved and stream lined. It was also a nice introduction to the world of The Witcher, while the games are based on a series of books the fact that Geralt has amnesia means it actually helps not to have read them first. Overall there was a little too much walking around doing nothing, a plot that wasn't the most original feeling and that didn't get going till late into the game, and sometimes fiddly controls.